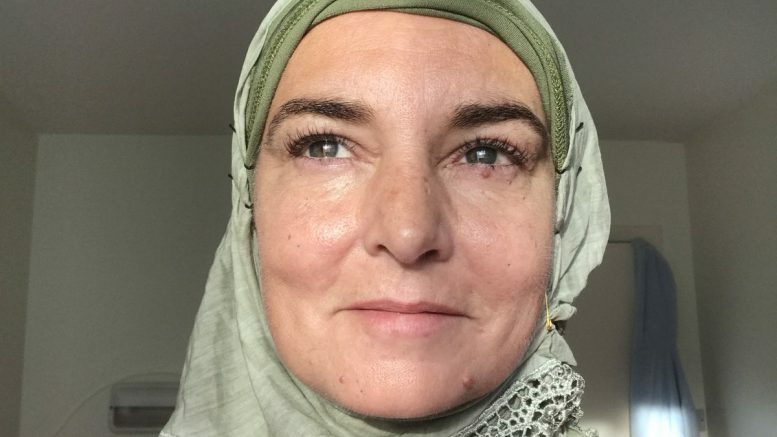 For her, who was previously a Christian priest, her conversion “is the natural conclusion of any intelligent theologian’s journey, (as) all scripture study leads to Islam.” She also made the decision to change her name to Shuhada, “which refers to one who bears witness, as she hopes her life and her voice will always remain a witness to truth, justice and mercy,” the Islamic Centre of Ireland, explained in a press statement. It is there where she adopted her new faith earlier this week. Shuhada Davitt also shared the day she got her first hijab from her best friend Elaine. She described how that moment moved her and decided not to share images as she felt it was “intensely personal”. Later on, she shared some photos of her with hijab at the same time she assured it made her very happy. She also shared a video of her singing the Muslim call for prayers, a video which already got 185,000 views since it was posted last Octobre 19th. Just about one year ago, the singer had raised concerns and moved people around the world after publishing a video in which she confessed she felt incredibly lonely and had been struggling for two years already to keep on living. She called for people to help others, like her, with mental illnesses. “Shuhada has faced many challenges in her life. Where there is light, darkness has tried to envelope it, the greater the light, the greater the struggle with darkness,” Al-Qadri said this Friday. Just a few days ago Shuhada Davitt announced on an interview with Daily Mail that she is preparing a EP for charity together with Rolling Stones’ Ronnie Wood and Pink Floyd’s Nick Mason. It intends to honour victims of World War I and raise awareness about the fight against cancer.